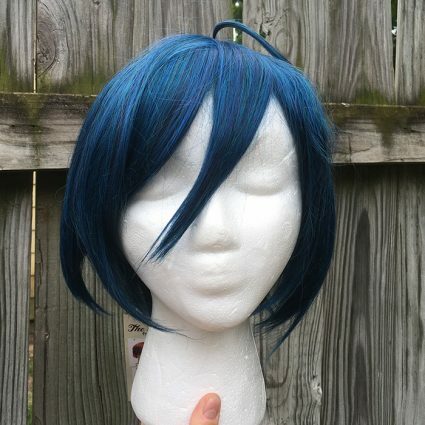 Case closed, this excellent wig is the right one. In mulitoned dark blue and midnight real fibers, this thick and heat stylable wig is ready to face anything. 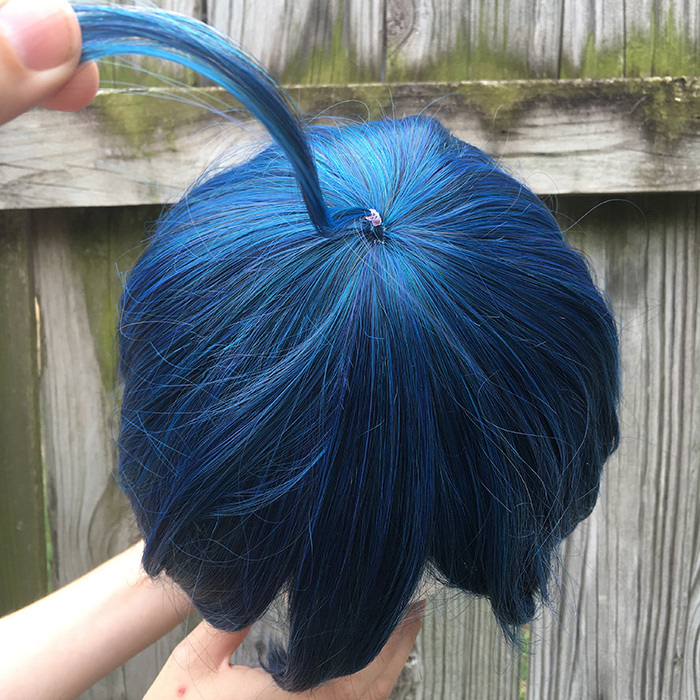 The bit on top is held in place with a small rubber band which is easily removable. 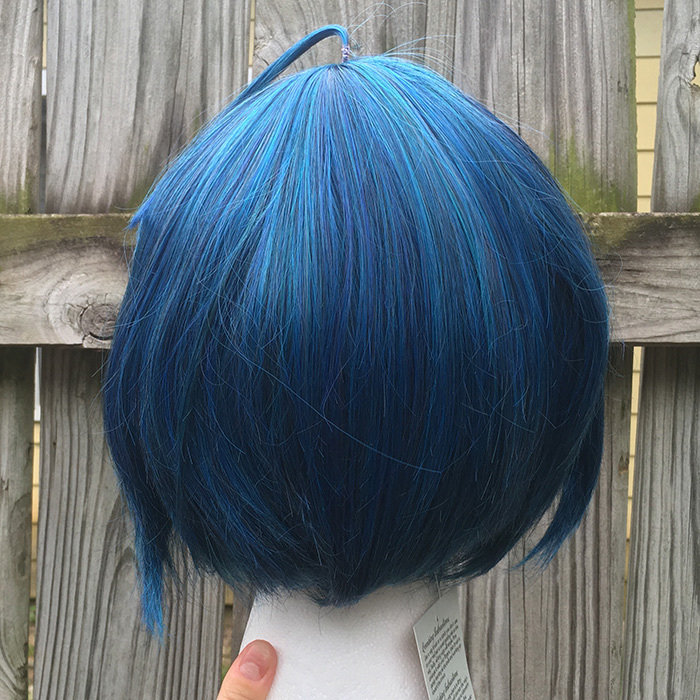 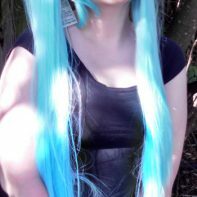 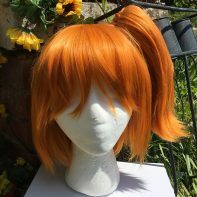 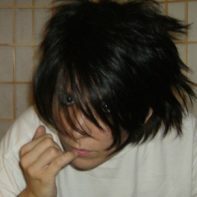 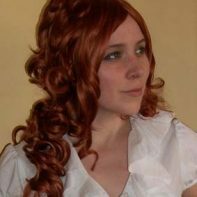 This wig has been reviewed by Korkacola! 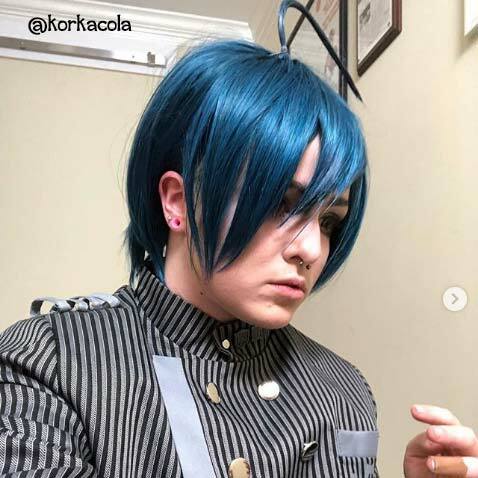 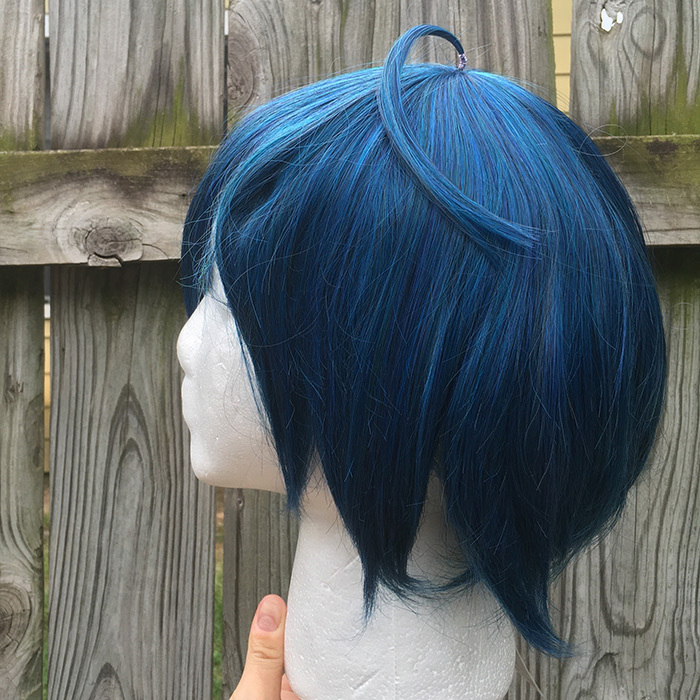 This wig is gorgeous, perfect for Saihara! I got so many compliments on it when I wore it to cons. Soft & easy to style.